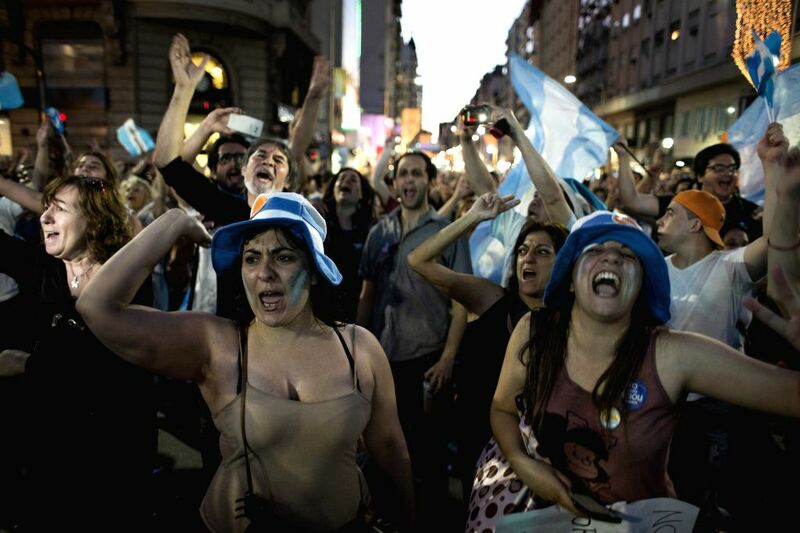 BUENOS AIRES, Nov. 15, 2015 - Residents take part in a rally in support of the presidential candidate of the ruling party Front for the Victory Daniel Scioli, in Buenos Aires city, capital of Argentina, on Nov. 14, 2015. 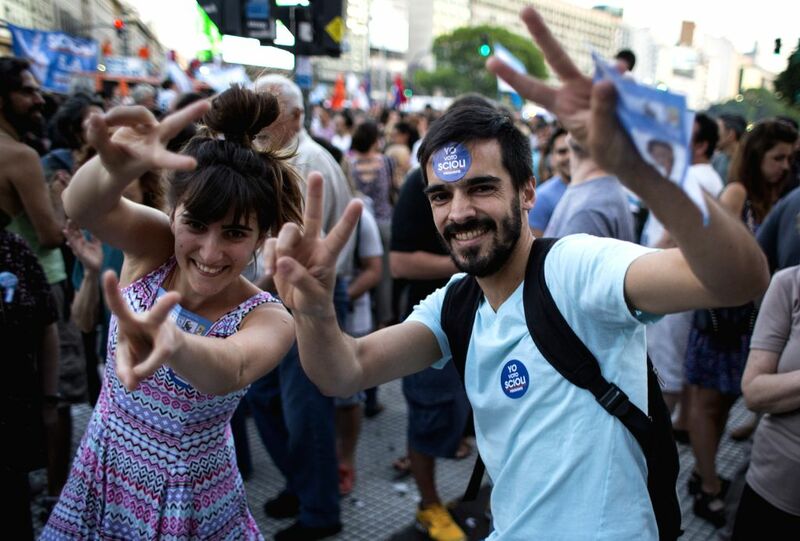 The Argentines will elect the next President for the 2015-2019 period, between Daniel Scioli and Mauricio Macri on Nov. 22. 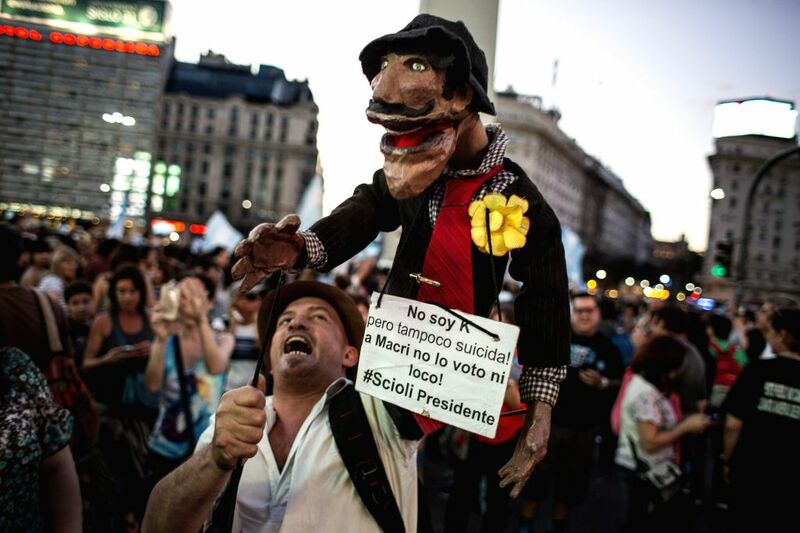 A puppeteer takes part in a rally in support of the presidential candidate of the ruling party Front for the Victory Daniel Scioli, in Buenos Aires city, capital of Argentina, on Nov. 14, 2015.